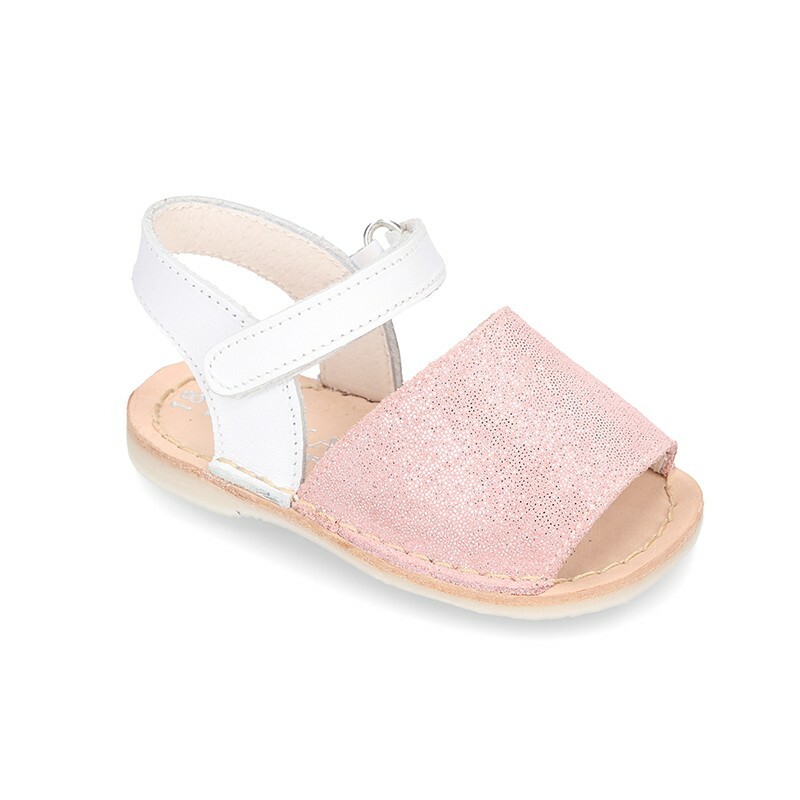 > Babies>Sandals/Menorquinas avarcas>Shiny soft leather Menorquina sandals for baby. 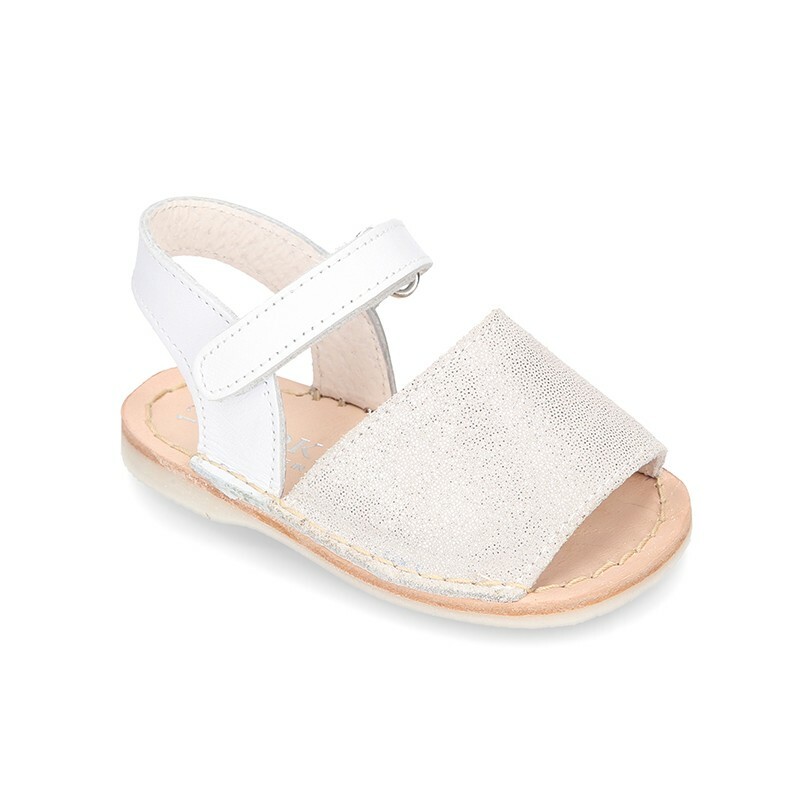 Shiny soft leather Menorquina sandals for baby. 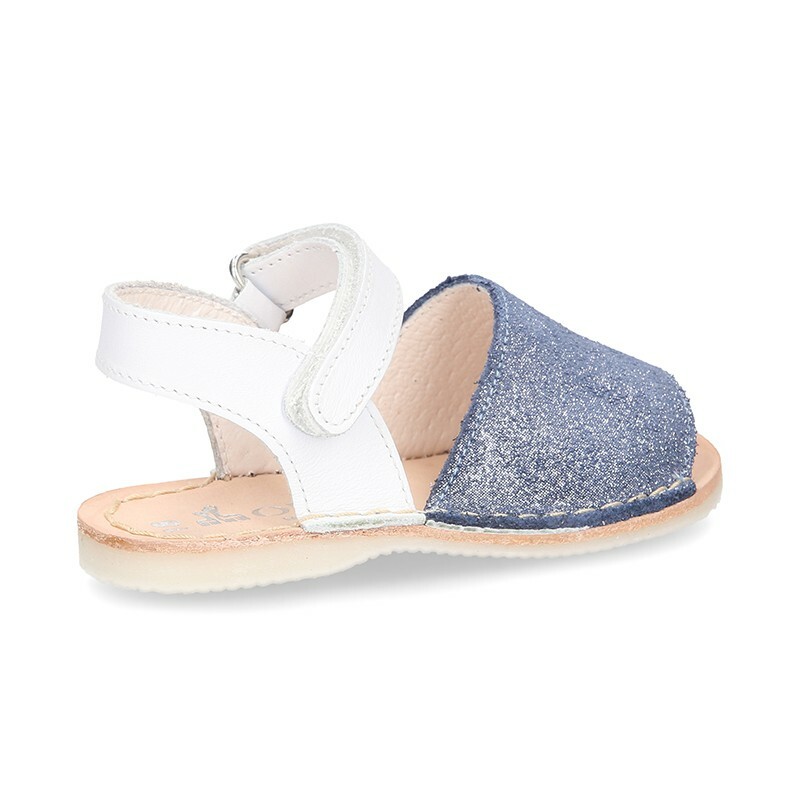 Shiny soft leather Menorquina sandal shoes with velcro strap and SUPER FLEXIBLE soles for babies. 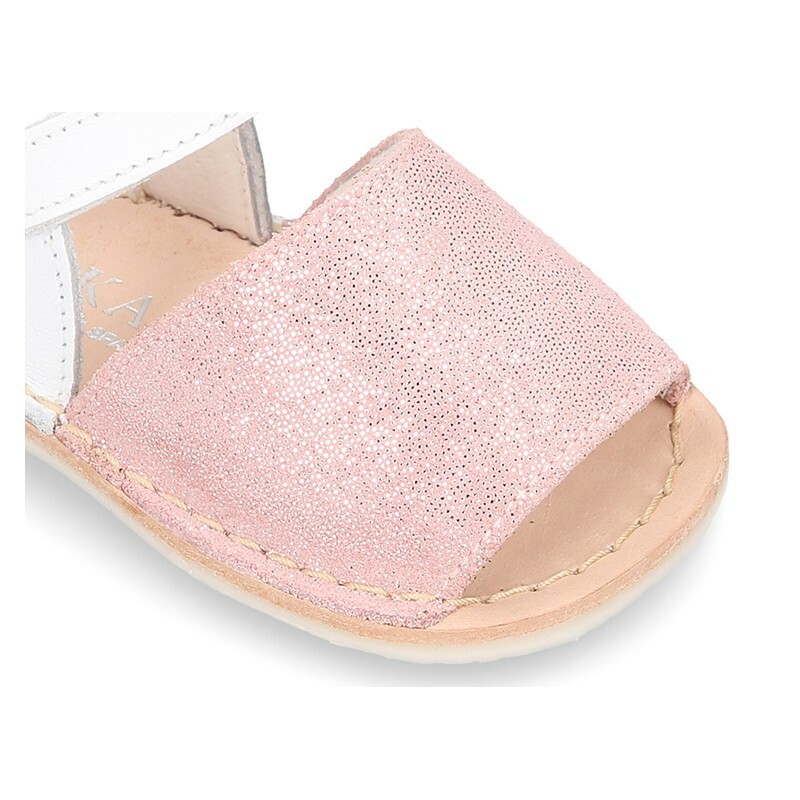 More info about Shiny soft leather Menorquina sandals for baby. 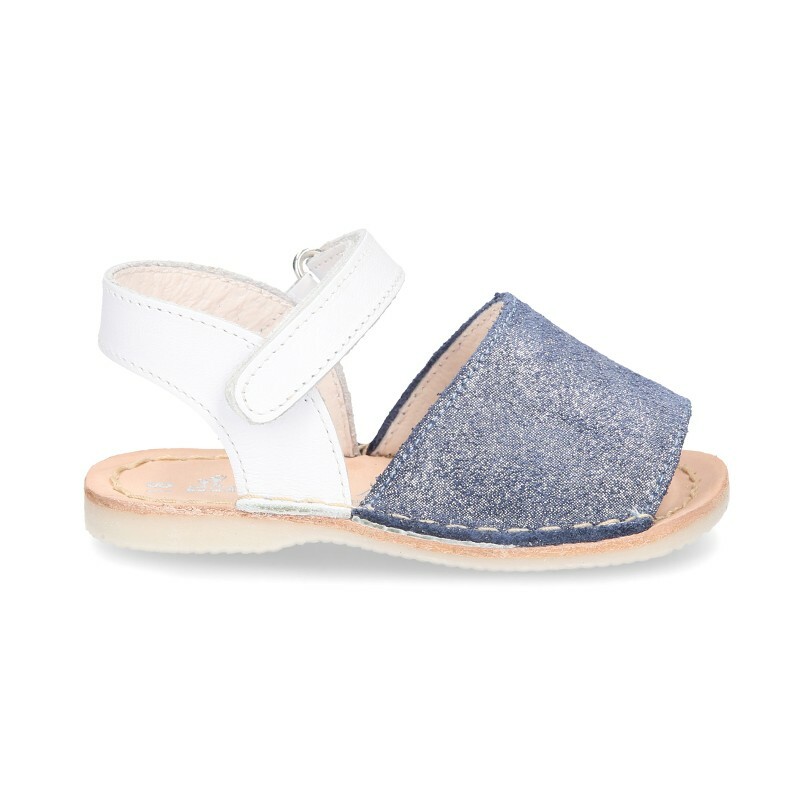 Menorquina sandal shoes for babies and prewalkers with velcro strap in soft shiny leather combined with white nappa leather and SUPER FLEXIBLE soles. 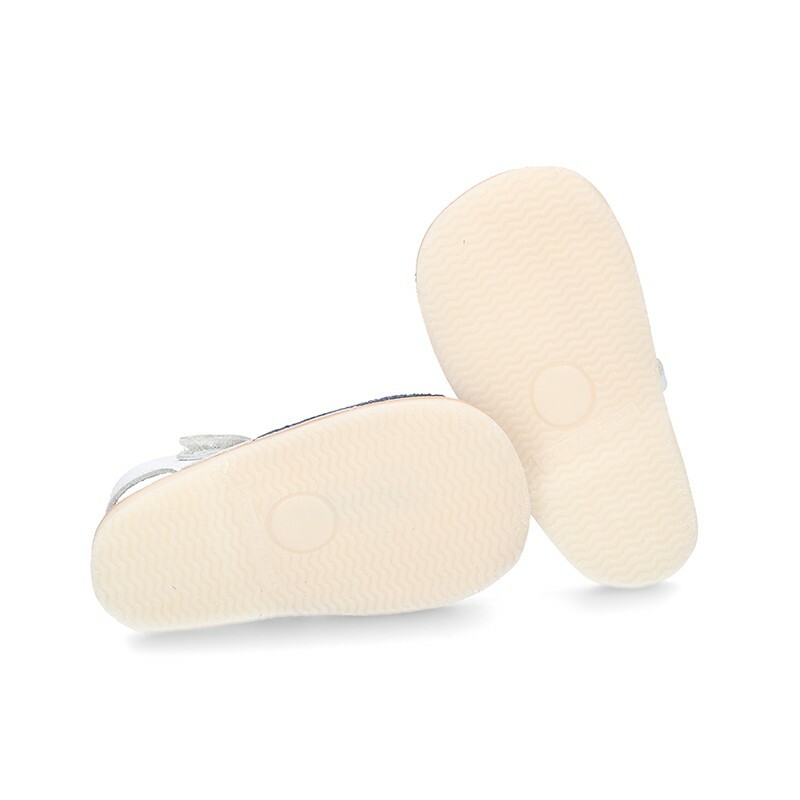 Made up of 100% High quality Natural soft leather with shiny finish and combined in counter with nappa leather. Very classy for all occasions or for to combine with all their sweet day a day looks. 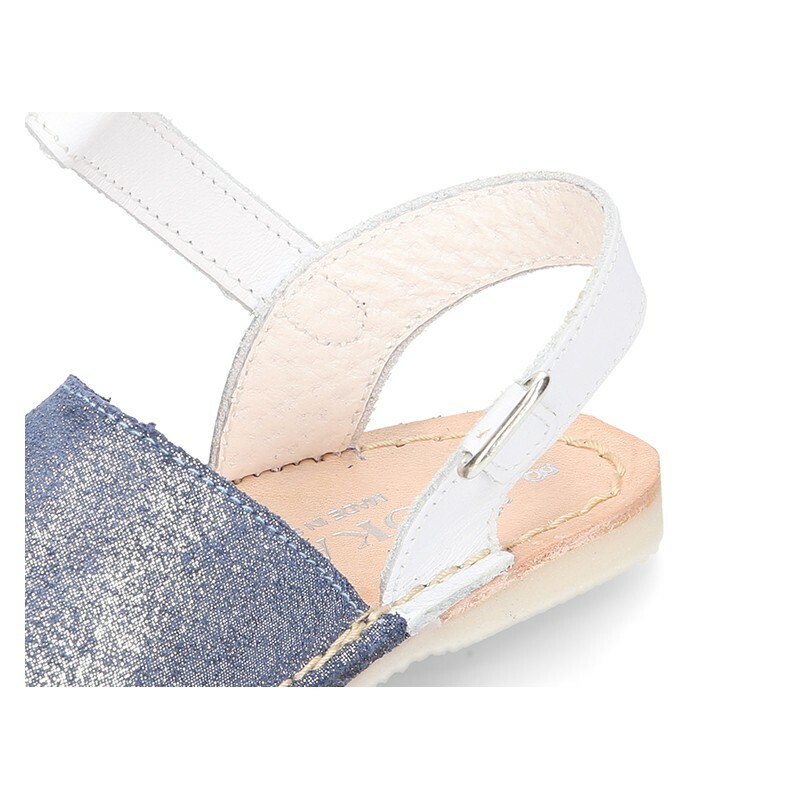 With the designs as menorquinas shoes lifelong. 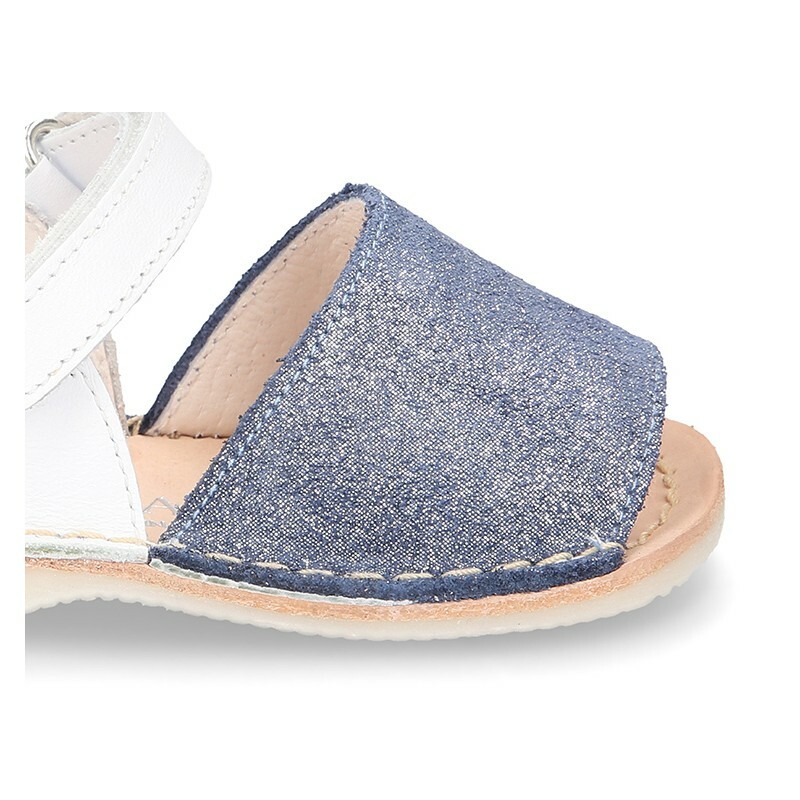 Very fluffy and soft design. 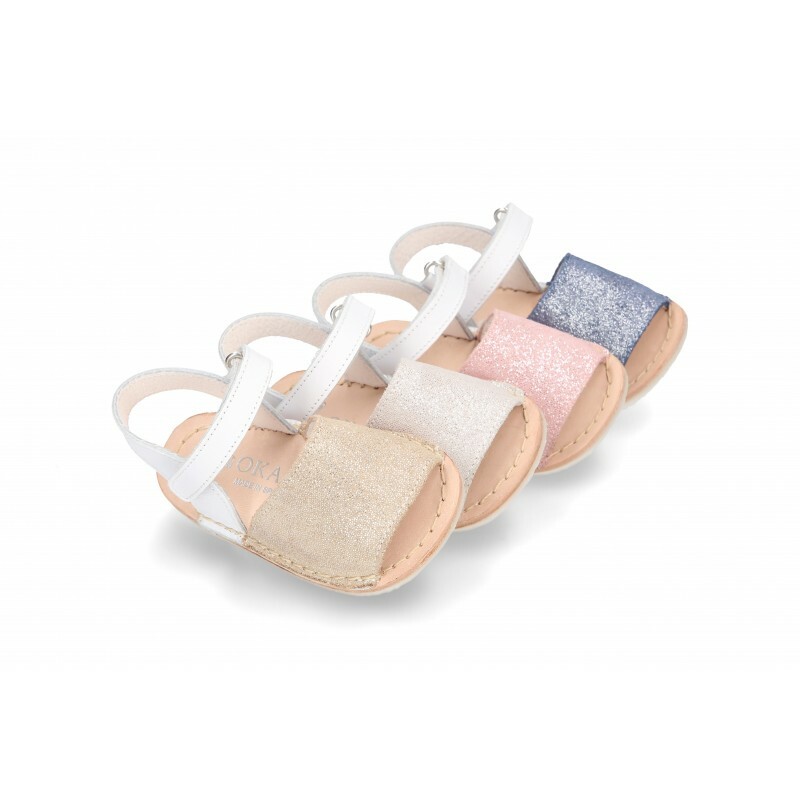 Available in 4 colors. Size range: from 17 Euro size up to 20 Euro size. SIZING REGULAR. 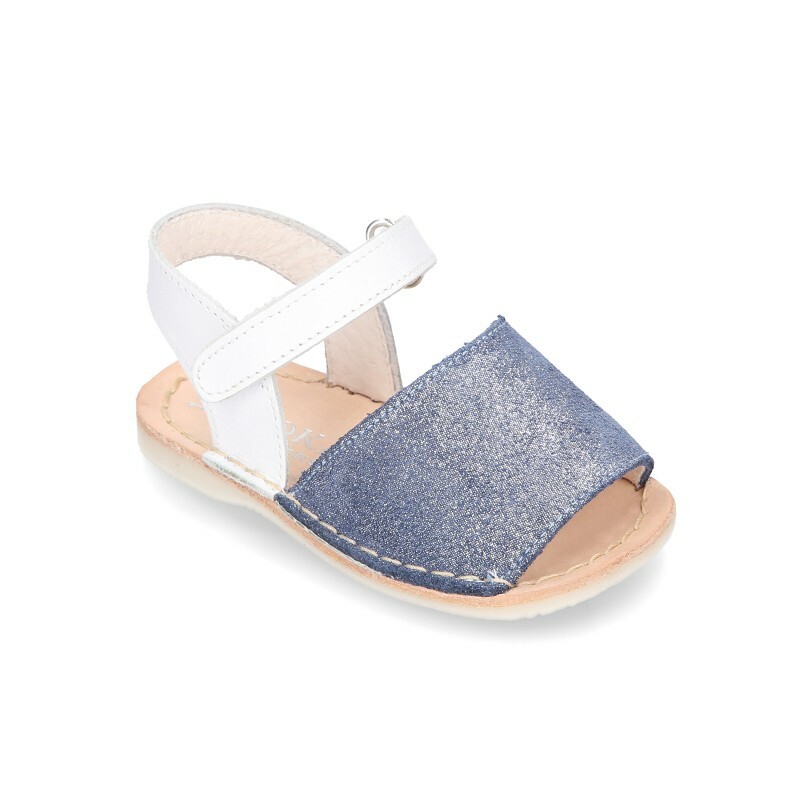 Data sheet about Shiny soft leather Menorquina sandals for baby.